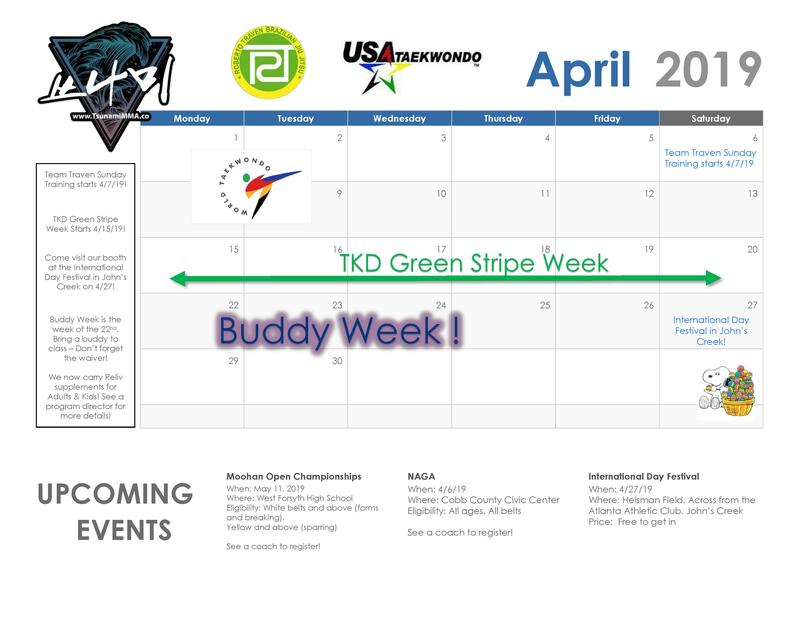 Taekwondo Green Stripe Week starts the 15th! Buddy Week starts the 22nd! Team Traven Sunday Training starts the 7th at TRT HQ!